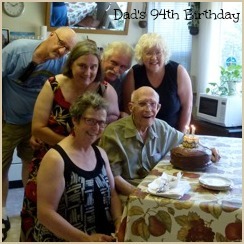 Today our Dad is 94. Gail baked a wonderful cake and we had tea at 12:30. Elaine and Kelly put out various cheese and crackers and vegetables and dip too. Time to catch up, visit. How wonderful! To have your dad still here with you! 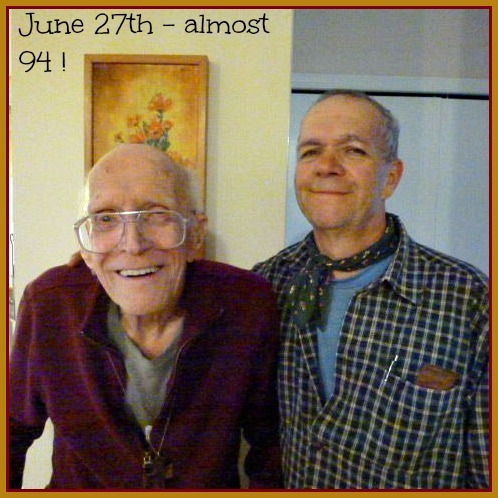 happy 94th! 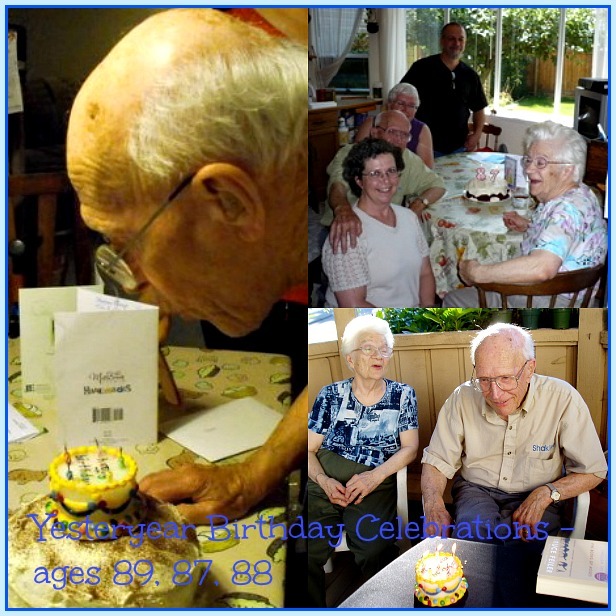 We are planning for my Aunt's 90th birthday in November. She wants everyone to go on a kayaking adventure. Wonderful! Happy Birthday to your Dad! God Bless him .... may he have many more birthdays! It looks like you all had a wonderful time. Happy belated birthday!